We often buy our shorts and pants for travel based on the pockets. We need a zipper somewhere so we can take our room key, wallet, phone, and money with us. I hate lugging around a purse or a bag just because I want to carry a few things with me or I don’t want to leave them in the room. 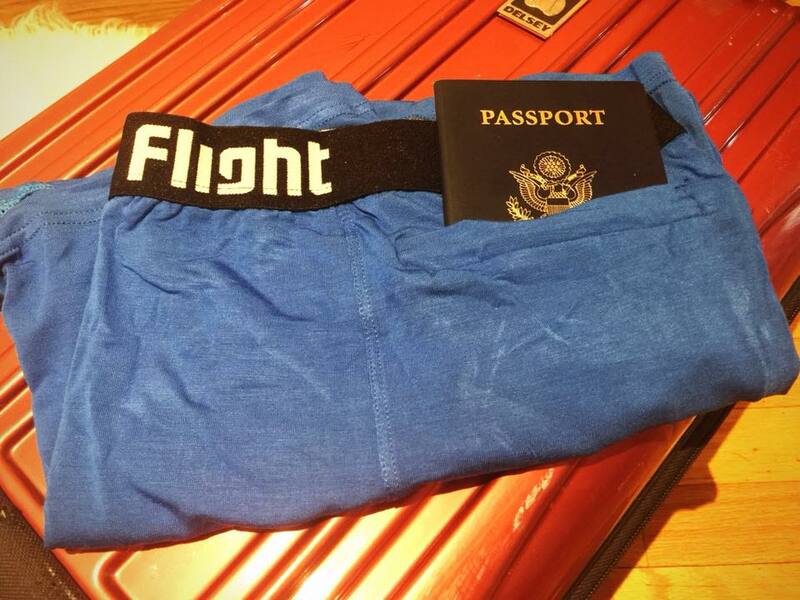 When I found Flight Underwear, they seemed like the perfect solution. We tested them out during a recent family trip to the Caribbean. Find out how they held up. 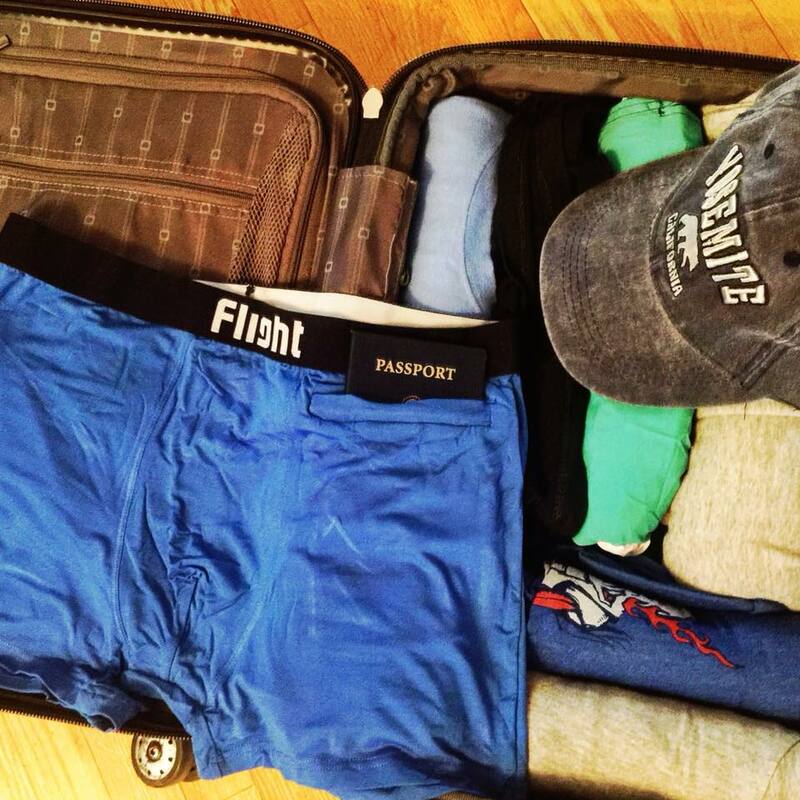 Flight Underwear are perfect for travel, hiking, and backpacking, and they have a pocket. The zipper pocket of Flight Underwear is large enough to hold room keys, a small wallet, or even a passport. The secret hidden pocket underwear is perfect for security and ideal to keep your belongings safe. During morning walks on the beach, we wanted to have cash on us for small purchases and we wanted to have our room key, but we didn’t want to carry a bag. Most shorts have pockets but it’s rare that they have zippers. It was easy to store extra cash and the room keys in the Flight Underwear zipper pocket and keep it out of sight. We also participated in off-property activities like parasailing that were quite a walk up the beach. Again, we wanted to carry money on us but we wanted to keep it secure in a zipper pocket. A lot of swim shorts or board shorts don’t have pockets and you’re left carrying a backpack or a bag to hold your belongings. We were able to bring enough money in the zipper pocket to pay for parasailing and other activities without needing a bag or purse. Even when we were up in the air, flying high above the water, we didn’t need to worry about our belongings falling out, and even more importantly, we didn’t need to leave them on the beach. Additionally, when we went to the town market, we used the Flight Underwear to carry extra money securely. Crime is high in Jamaica right now and the added security of a secret pocket made us feel a little safer. While we had a safe resort and a secure room during our stay in Jamaica, we do travel to lots of places that would be safer to carry our passports with us, especially when camping or hiking. 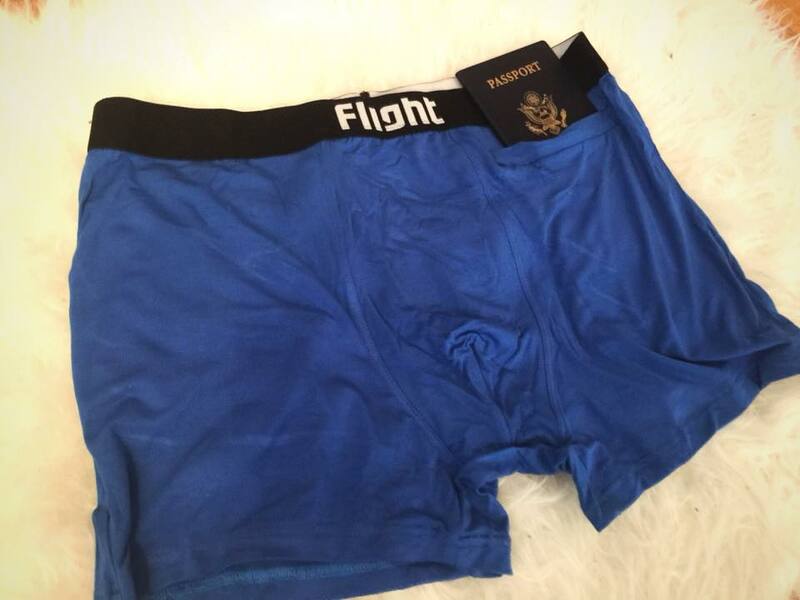 Flight Underwear allow you to comfortably carry your belongings without having them in sight or carrying an extra bag. Even if you’re not using the hidden zipper pocket, Flight Underwear are made of a soft fabric that feel great against your skin are made of a moisture wicking, fast drying bamboo fiber. My only issue with Flight Underwear is that they currently only make them for men. I’d like to get a pair for myself. Here’s hoping that they create a female version made of the same fabric and with a zipper pocket. Women’s underwear are usually a lot smaller than men’s though so they have their work cut out for them.